In the first part of our stress management blog, we suggested simple tools to help identify and moderate your stress. In today’s blog, we will discuss the 4 A’s of stress management: avoid, alter, adapt and accept. When reacting to stressors, remembering the 4 A’s and choosing one to apply to the scenario on hand will help you better mange stress. While we are not suggesting hiding from problems that need to be solved, there are actually numerous stressors in daily life that can be eliminated. Learning to say “no” is healthy and necessary. Know your limits, and stick to them. Take control of your to-do list- everything on there is most likely not necessary. While you cannot always change a situation, you can change the way you communicate and react. If you always bottle up your feelings, work on communicating more and expressing your needs. Compromise might be necessary, but you may feel better simply by being heard. Perhaps you have a long commute to work, and there is no possibility of changing that in the near future. You can still adapt to the stressful situation, and look at it with a new perspective. Instead of yelling at other drivers and getting upset over traffic you cannot control, look at your commute as a time for yourself. Listen to music, books or a podcast. When you cannot change a stressor, see how you can reframe it in your mind. There are many things in life that we cannot control, such as the death of a loved one. While this is very stressful, trying to control situations such as these will only many you more stressed. Share your feelings with a trusted friend or therapist, and make sure to schedule time for yourself. It’s important to find a balance between doing things for others, and doing things for yourself. If you are still struggling with stress management, consider making an appointment with our health coach. We can help you to identify causes of stress and find real solutions to dealing with stress in your daily life. Stress might be common, but it does not have to necessary. Let’s talk about family stress management. It might seem that there’s nothing you can do to manage the sources of stress in your life. However, stress is a powerful emotion that puts your mental and physical well-being at risk. Learning to manage stress is an important part of any healthy lifestyle. The next two blogs will explore how to manage stress and meet challenges head on. If you learn healthy tools to manage your own stress, your family will be much better equipped to follow your example and cut down on stress. 1. Identify Why You Are Stressed. In order to fix a problem, you first have to know what that problem is. While it’s easier to identify major sources of stress, such as a new job, a new child, or a divorce, not all stress is caused by such a specific and temporary event. If you are stressed all the time, start by examining why you feel this way. Do you see stress as necessary to function? Writing things down is an excellent way of identifying patterns and common themes. Each time you feel stressed, write in down in your journal. Also consider writing down how you felt, how you dealt with the stressor, and how you made yourself feel better. Physical activity is a stress reliever, and exercise releases endorphins that make you feel better. You do not have to do anything extreme to see the benefits- take a walk around the block, or have a dance party at home. 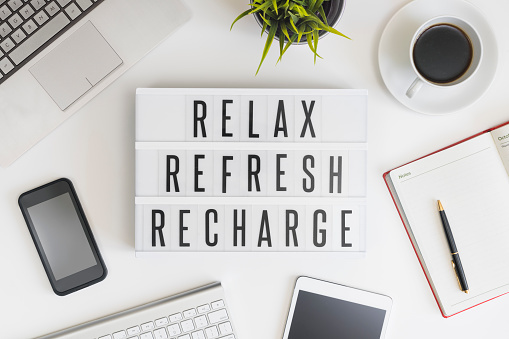 In part two of the stress management blog, we will explore the 4 A’s of stress management: avoid, alter, adapt and accept. 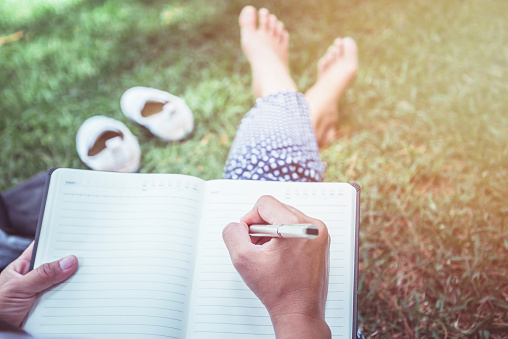 Consider starting a journal and moving more as part of your stress management tools and schedule an appointment with our health coaches at KareBoost Health to further dive into how to manage your stress! Let’s look at ways to stay fit this Fall. Fall is a fantastic time to keep up the activity level of summer. As the weather cools, there are many opportunities to get outside and be active. If you are struggling to keep the family active with the transition back to school, here are 5 fun activities to keep in mind. 1. 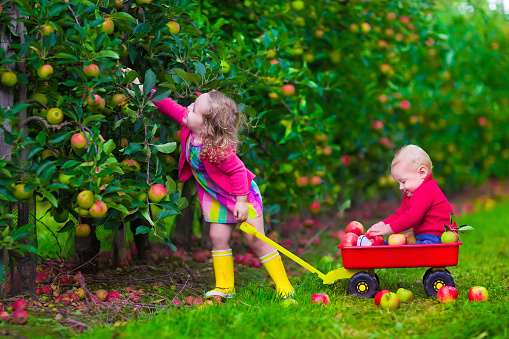 Visit a Local Orchard. Take advantage of fall produce and find a local orchard where you can pick your own apples, pumpkins, and more. The whole family will have fun while staying active, and kids will be excited to eat produce they have selected. 2. Take A Hike. Fall is a great time to explore local hiking trails. Pick a hike that is appropriate for the ages and abilities of your family, and even though the weather is cooler, sunscreen is still a necessity. 3. Play Outside. Exercise does not have to be structured to be effective. Get outside as a family, even if you just throw a ball around the backyard. This is a perfect time of year to go on after dinner walks around the neighborhood, or explore local parks. 4. Find a Maze. Fall themed events at farms and parks are in full swing. Find a fun, age-appropriate maze for the whole family, and get plenty of steps in this weekend! Everyone will have so much fun they won’t realize they are moving. 5. Start planning indoor activities. Fall weather is great, but it is not too soon to find and join an indoor activity. Look for a family or kids exercise class, such as kid’s yoga. Start planning ahead for those rainy days! With these ideas, getting moving should be fun! Want more ways to stay fit this Fall? Join us every Monday this fall and winter for kid’s yoga at 5 pm. This class is appropriate for kids over 10, beginners included! Or you can work with our Health Coaches on other physical activity suggestions. There are many good reasons to include iron rich foods in your child’s diet. The mineral iron is an important nutrient in any healthy diet. Iron enables hemoglobin to carry oxygen in the blood, so that oxygen can get to the body’s tissues and organs. Iron is found in dark leafy greens and meats, and is also added to some foods. Here’s how to include iron in your child’s healthy diet. Infants who breastfeed usually get enough iron from their mothers. If not, a doctor can prescribe iron drops. Babies fed iron-fortified formula do not need a supplement. Toddlers 1-3 years old need 7 milligrams a day, kids ages 4-8 need 10 milligrams and kids 9-13 years old need 8 milligrams a day. Teen boys need 11 milligrams of iron a day, and teen girls need 15 milligrams a day. 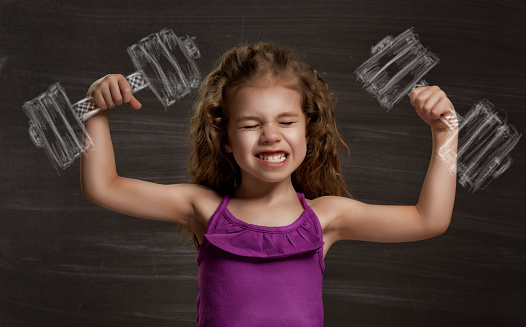 If your child is very active, they made need more iron to replace what they lose, so consult your pediatrician. Teen girls, especially those with heavy periods, can be especially at risk for iron deficiency. Toddlers may also be at risk after they stop breastfeeding or eating iron-rich formula if they do not consume enough iron-rich foods to make up the difference. Iron deficiency can affect growth and may lead to learning and behavioral problems. If not corrected, it can lead to anemia. 3. Making Sure Your Kids Get Enough Iron. Include iron-rich foods in your child’s diet, such as beans, tofu, lean meat and dark leafy greens. Iron fortified cereals, breads and pastas are also worth including. Also, serve iron-rich foods along with foods containing vitamin C, to help iron be absorbed efficiently. If you are still concerned that your child is not getting enough iron, consult with our health coaches or pediatric registered dietitian.